Meryl Becker is living a mother's dream. Meg, the oldest of her three beautiful daughters, is engaged to a wonderful man from one of the country's most prominent families. Of course, Meryl wants to give Meg the perfect wedding - who wouldn't? But when her two younger daughters, Amy and Jo, also become engaged to celebrated bachelors, Meryl has to admit that three weddings is more than she and her husband, Hugh, can realistically afford. The solution? A triple wedding! At first, it's a tough sell to the girls, and juggling three sets of future in-laws is a logistical nightmare. But when Hugh loses his teaching job, and Meryl's aging mother suddenly moves in with them, a triple wedding is the only way to get all three sisters down the aisle. When the grand plan becomes public, the onslaught of media attention adds to Meryl's mounting pressure. Suddenly, appearances are everything - and she will do whatever it takes to keep the wedding on track as money gets tight, her mother starts acting nutty, and her own 30-year marriage starts to unravel. In the weeks leading up to the nuptials, secrets are revealed, passions ignite, and surprising revelations show Meryl and her daughters the true meaning of love, marriage, and family. 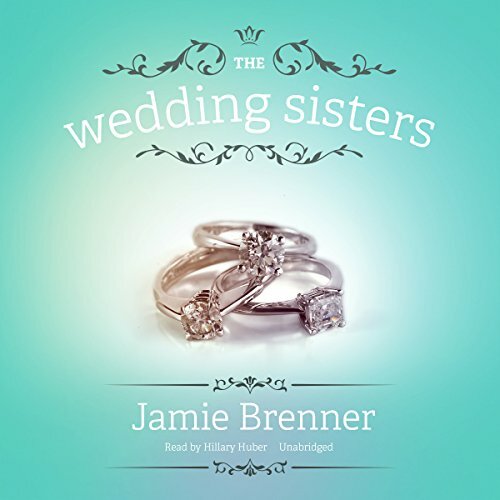 Jamie Brenner's The Wedding Sisters invites listeners to the most unpredictable wedding of the year.